January 12th! 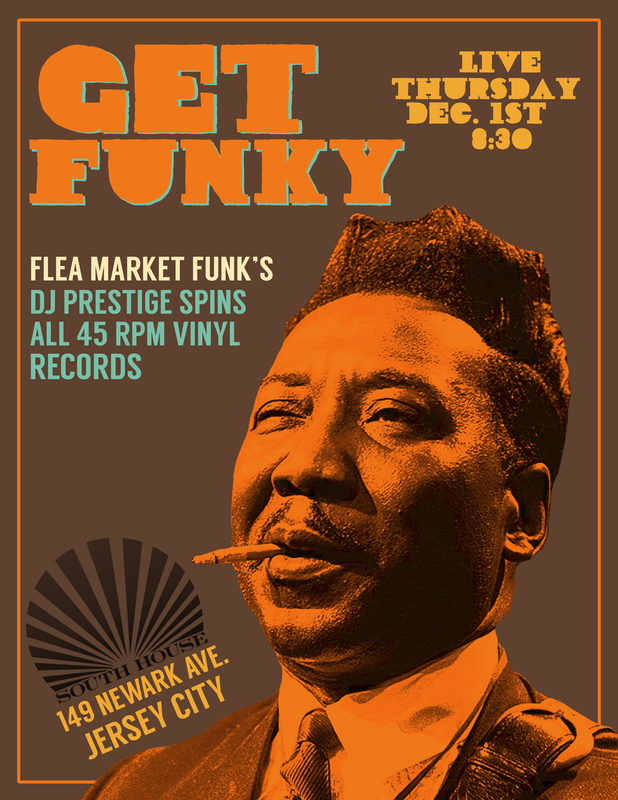 Get Funky in Jersey City with DJ Prestige at South House on Newark Ave. Loads of funk, soul, funky soul, and greasy organ jazz on 45 RPM all night. Drink specials and menu available. 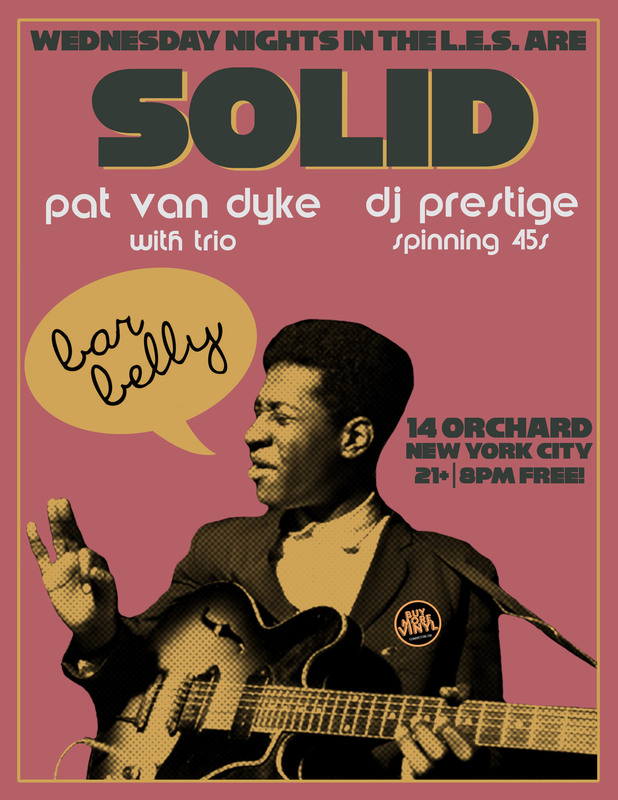 Come get funky with us! This entry was posted in Live Gigs, Vinyl and tagged 45 RPM, Crate Digging, DJ Prestige, Flea Market Funk, FREE, Jersey City, Newark Ave., Record Digging, Records, South House, Vinyl. Bookmark the permalink. 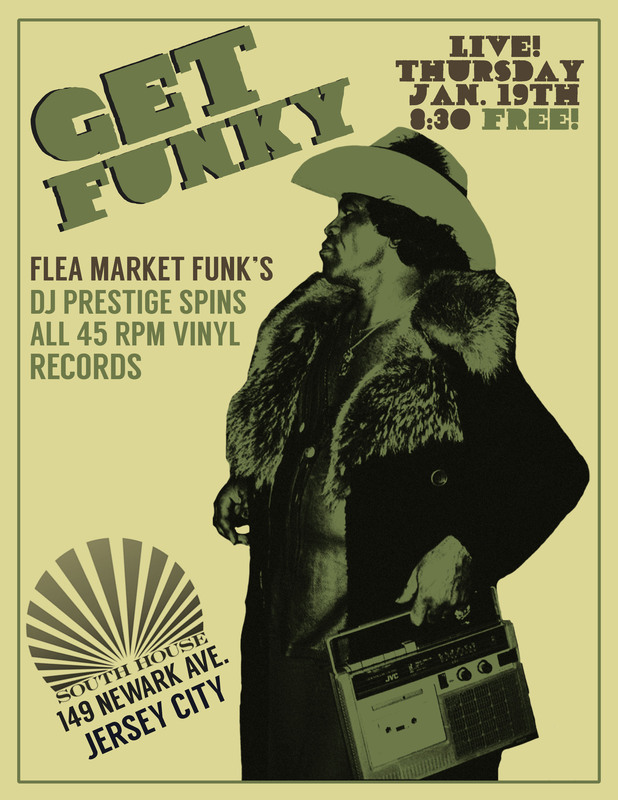 Get Funky in Jersey City! 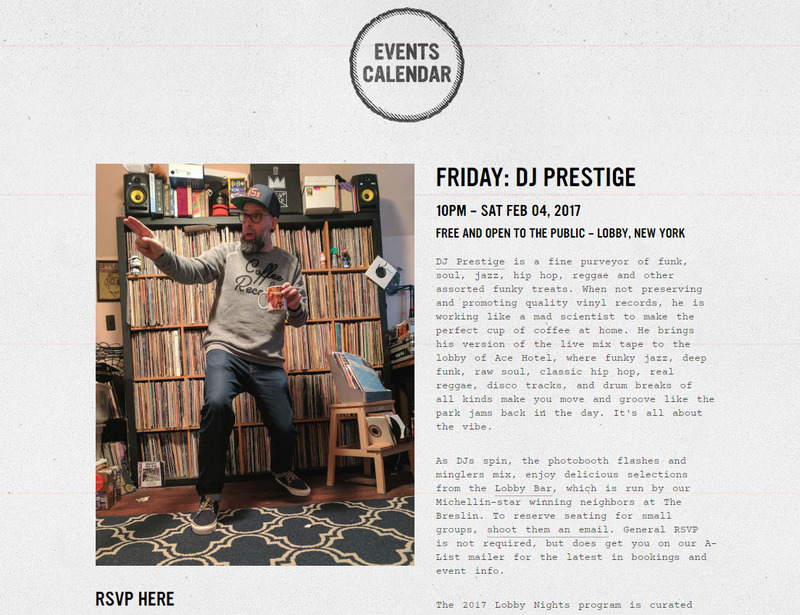 Get Funky in Jersey City with DJ Prestige at South House on Newark Ave. Loads of funk, soul, funky soul, and greasy organ jazz on 45 RPM all night. Drink specials and menu available. 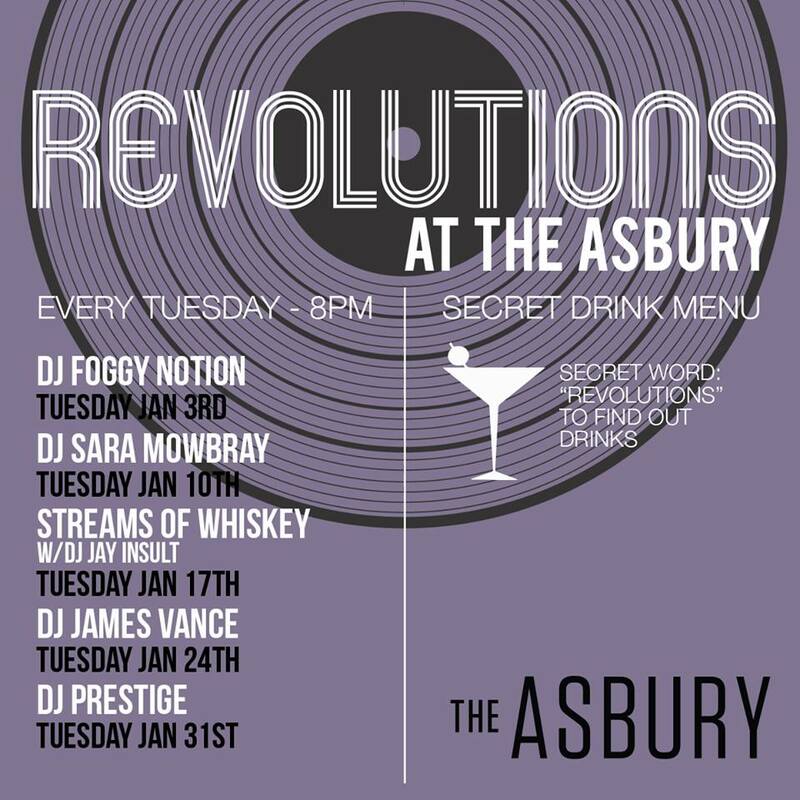 Come get funky with us! This entry was posted in Crate Digging, Live Gigs, Records and tagged 45 RPM, 7" Records, Crate Digging, DJ Prestige, Flea Market Funk, FREE, Funk, Jazz, Jersey City, Record Digging, Soul, South House, Vinyl. Bookmark the permalink. PATH train to Grove St. Check out more on the Facebook event page here. This entry was posted in Crate Digging, Live Gigs, Records and tagged 45 RPM, Crate Digging, DJ Prestige, Jersey City, Live, Music, Newark Avenue, Record Digging, Records, South House, Vinyl. Bookmark the permalink. This is what this party is all about. Come as you are, dance like no one is watching, and enjoy some music that reveals the true New York City. We may be from different backgrounds, but we are all one as we come together with this music. As usual, G Man is on the mic, taking us all on a fantastic voyage through these feel good classics. 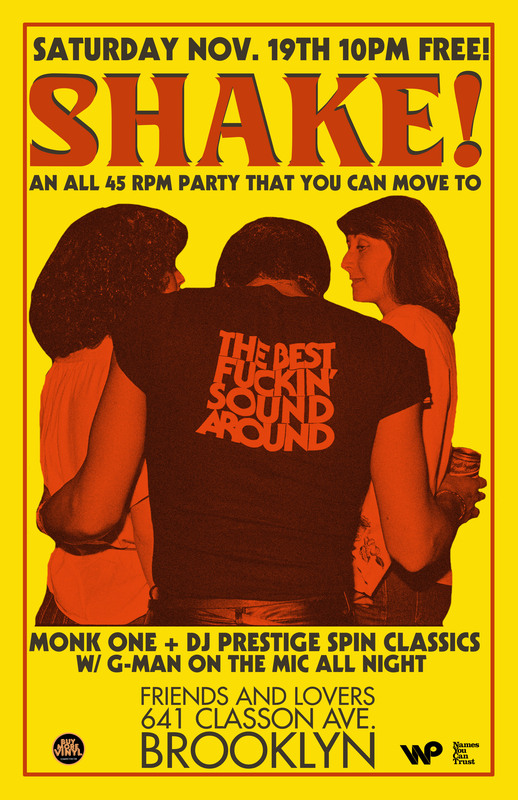 It’s a free party, so join us, won’t you? This entry was posted in Crate Digging, Live Gigs, Records, Vinyl and tagged 45 RPM, Brooklyn, Crate Digging, Disco, DJ Prestige, Flea Market Funk, FREE, Funk, Monk One, NYC, Record Digging, Records, Shake!, Vinyl. Bookmark the permalink. 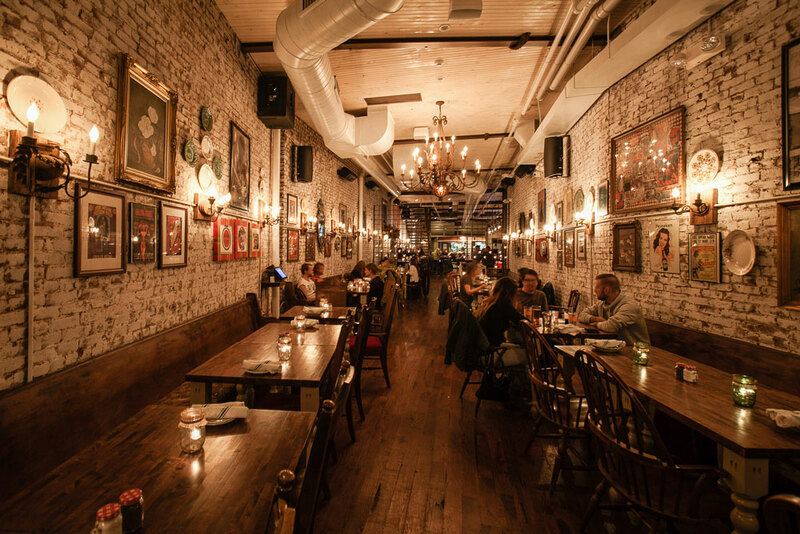 “SOUTH HOUSE (Bar and Restaurant) brings “SIMPLE SOUTHERN” to Jersey City; fusing Austin, Texas flavor with the gritty soul of the south. Located in the heart of Pedestrian Plaza of the Historic Downtown Special Improvement District in Jersey City, NJ. The SOUTH HOUSE destination experience is a perfect mix of the best of the south; serving ‘farm to glass’ specialty crafted cocktails made with brown spirits, tequilas’ and mezcals’… ice cold brew, Texas-style southern eats and targeted weekly and monthly LIVE music; dedicated to bringing local and national, new and established artists of today, who have been inspired and influenced by the iconic Delta Blues greats. 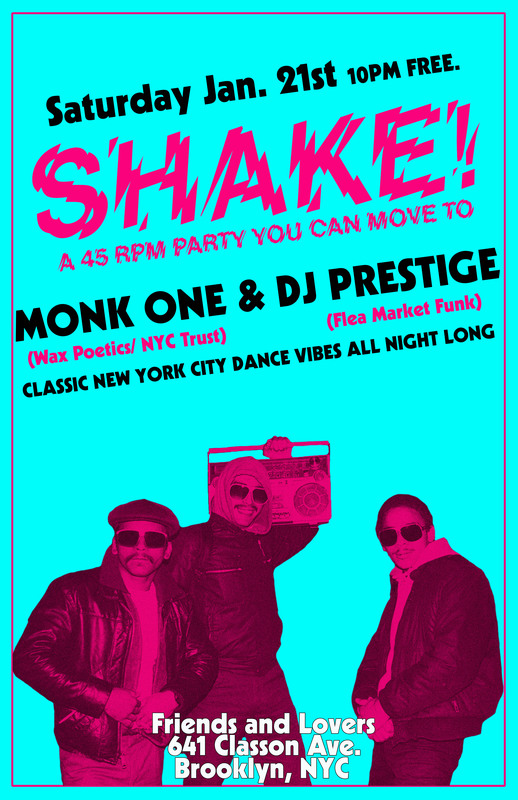 DJ Prestige spins funky 45s! Pedestrian Plaza on Newark Ave.
Needle drops at 8pm Free! This entry was posted in Crate Digging, Live Gigs, Records, Vinyl and tagged 45 RPM, Crate Digging, DJ, DJ Prestige, Flea Market Funk, Jersey City, Live, Music, Newark Ave., NJ, Record Digging, Records, South House, Vinyl. Bookmark the permalink.